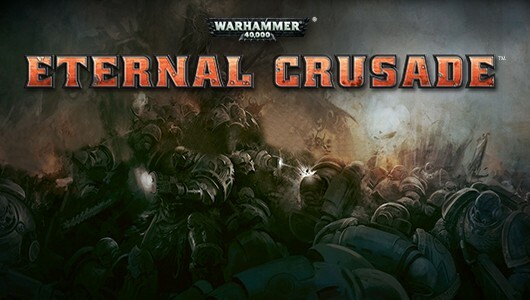 Welcome to the first edition of the Warhammer 40,000: Eternal Crusade newsletter. I’m David Ghozland, Creative Director on the project. First of all, I wanted to say that myself and the team here at Behaviour Interactive can’t thank you enough for your support. We knew there would be a big response to a new 40k MMO, but the passion and enthusiasm we’ve seen from the community has gone beyond our expectations. We consider this to be YOUR game – the online 40k world that the fans have always wanted. To that end, we’ll be setting up a space where you can communicate with the devs and share your thoughts. Expect some news on this front very soon! In the months to come, this newsletter will be a platform for expressing our specific intentions on this project and communicating the thought processes behind its development. For the inaugural edition, however, I’d like to say a bit more about the game itself. One of the first misconceptions we saw about the game based on the announcement was that because of the game’s genre, people thought that we were making a “traditional” MMORPG. If you looked out our “required playing” list for new team members*, you’d see that we’re planning on making something quite different indeed. We believe that the MMORPG genre is one with vast possibilities – just look at EvE Online or Firefall to see how far it can stretch. In Eternal Crusade, we’re presenting a war on a planetary scale, but what you want to do in the game world is really up to you – there’s no traditional quest or leveling structure in the experience. When you drop down to the planet with your friends, you’ll have a great overview of the ongoing conflict due to both traditional UI elements and community channels. If you want to head to the front lines and fight where you’re needed most, you can drive over there and do so. Along the way you might meet players from the enemy faction skulking about, or maybe you’ll spot a tantalizing entrance to the world beneath the surface or a Tyranid infestation bursting out near one of your strongholds. Or perhaps one of your squad-mates will get an idea to hit the enemy behind their lines at a particularly valuable strategic position. It’ll take some skill to get there unnoticed and you might be guaranteed to have the enemy’s attention once you’ve done the damage, but the game’s not going to stop you! Part of what makes this possible is that MMO technology has come far enough to allow for true skill & precision-based gameplay and we’ve made a deliberate choice to make progression as horizontal as possible. A small amount of power gain is inevitable, but in a PvP-focused game it’s crucial that the vast majority of progression is about filling out your tactical possibilities and increasing specialization. Tabletop 40k has been a big inspiration in this regard, as you’ll see when we talk more about creating your character builds. The other part is that we’re not creating a “content-heavy” world, but rather one driven by gameplay systems. There are unique spots to find, environmental lore bits and an ongoing narrative, but community efforts and Tyranid invasions drive the battle for the surface while the shapes and challenges of the underworld are generated procedurally. Our aim is to make an online world that never stops being able to surprise its players. If this sounds good to you, stick around! We’ll keep talking about the details of the game design and other production updates right here, so if you know anyone else who might be interested in these topics, you can encourage them to register on the site. Until next time, may the Emperor protect!